Finding out whether or not you have a bed bug infestation is crucial to deciding which course of action needs to be taken in order to eradicate them. The absolute best way to detect if your home has bed bugs is to install a bed bug trap or a bed bug monitor. They are cheap, easy to use, and will lure bed bugs to help you easily detect an infestation. 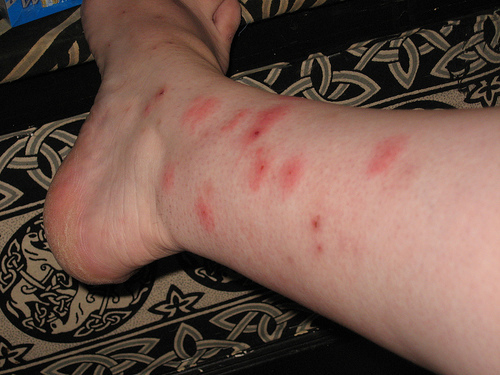 Bed bugs are nocturnal; That means there favorite times to be out and about are early morning and late at night. If you go looking for them in the daytime, they’ll most likely be hiding. If you install bed bug traps or even just a simple climb up interceptor you can lure bugs in and check each morning to see if any have been caught. 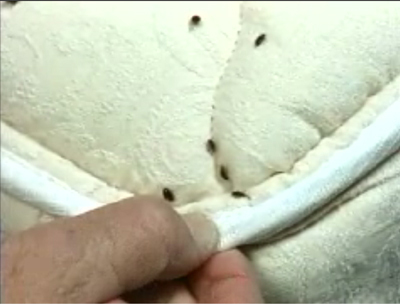 Bed bugs are shy and very tiny; This means that you have to really look for them to see them. They don’t like to move around when threatened so you have to really look hard to notice them. Alternatively, you can install a mattress encasement and a pillow case encasement which will block out bed bugs and prevent them from entering your bed in the first place. Bed bugs like other places than just beds; Just because your bed might be clear, doesn’t mean your home is. Despite their name, bed bugs also enjoy couches, chairs, curtains, carpets, clothing, and many other dark warm areas they can find. If you think you might have a problem, it’s best to wash your clothing, steam clean your furniture/bed, and spray organic bed bug pesticides. Bed bugs like to live in crevices and folds of your mattress, so make sure you dig deep and really look into each nook and cranny. You can also install bed bug traps that actually emit heat and Carbon Dioxide (CO2) to lure bed bugs into them (as they are drawn to heat like body heat). These traps will lure in bugs even if they are deeply embedded into your furniture or mattress.